Graduation ceremonies were held Friday at two Johnston County Public Schools. Johnston County Middle College High School graduated 42 students during a ceremony Fridaymorning. The middle college allows students to earn both college and high school credits. 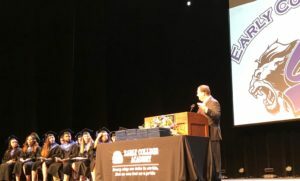 Johnston County Early College Academy (JCECA) graduated 49 student Friday afternoon. JCECA is a 5 year school where graduates receive both a high school diploma and a two year Associate Degree in College Transfer from Johnston Community College. 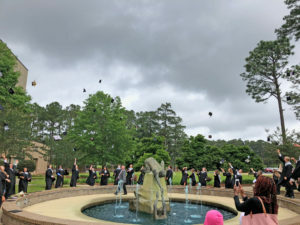 The 8 high schools in Johnston County will hold commencement ceremonies on Friday, June 8th. As of Friday, an estimated 2,409 seniors will receive their diplomas next month.